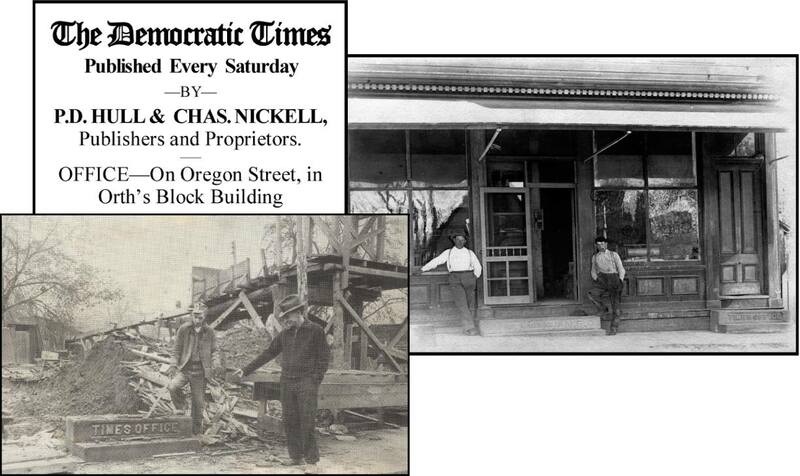 Democratic Times Newspaper | Historic Jacksonville, Inc. Early Jacksonville had a succession of newspapers over the years, many of them competing and espousing opposing political viewpoints. When the Democratic News plant was destroyed in the fire of 1872, it rose again as the Democratic Times. Initially housed in the Orth Building on South Oregon Street, the Times soon outgrew that space and established its own offices at the corner of C and North 3rd streets. The Times lasted into the early 1900s when it merged with the Southern Oregonian. Depression era miners of the 1930s uncovered the Times door step as they undermined almost every inch of Jacksonville. The current private residence was built as a rental property in the 1930s over one of these old mine shafts.